Taking cash out of your home, whether it’s a refinance or a home-equity line of credit can be very confusing. At Gustan Cho Associates at Loan Cabin Inc. we do specialize in Texas refinancing! In this example the pay off amount of your existing lien plus closing costs must be lower than $240,000. Texas established the (a)(6) laws, mainly the 20% equity requirement to prevent borrowers from equity stripping their property. A bulk of the confusion for Texas cash out refinancing comes from loan products are available. 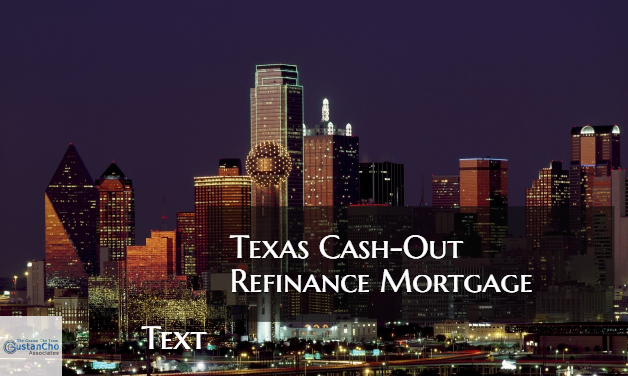 This BLOG On Texas Cash-Out Refinance Home Mortgage Was written and published by Michael Gracz. Michael Gracz is a contributing editor at Gustan Cho Mortgage News and the National Sales Manager for Gustan Cho Associates. Contact Mike Gracz at 630-659-7644 for further questions and to start your application today. Please see the NON-QM blog soon to come.